Two pictures today in honour of what would have been my dad’s 73 birthday. I think both of these things would have made my father proud. 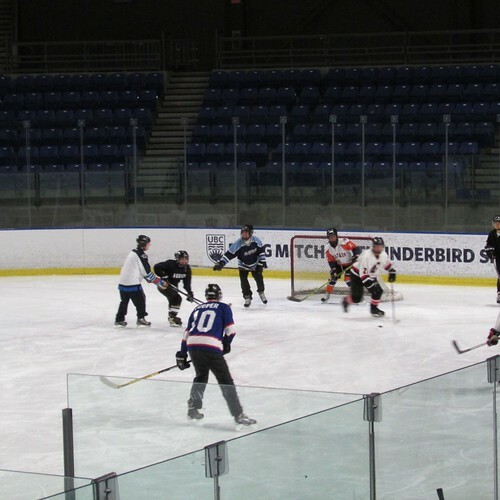 First: me in a recent hockey game. There was a conference in town not to long ago that my workplace was involved with and part of this conference is that they host a pick up game of hockey. Even though I didn’t go to the conference, as it was focused on an area of research that I don’t do research in, I still got to play in the hockey game. I’m the short one in the dark jersey of the left. I’m feeling sad today, thinking about my dad. Too sad to write anything profound, so the pictures will have to suffice.